The #CantWait2Vote Panic Button is not only a stress reliever that keeps a record of your moments of frustration, but also serves as a powerful tool for generating voter momentum as we approach Election Day! HOW IT WORKS: When news or other information flying across your timeline, tv screen, radio broadcast or newspaper makes you want to scream I CAN'T WAIT TO VOTE!, fill in the reason why, then punch your #CantWait2Vote Panic Button. Once you press the button to the right, your reason is then recorded on your own personalized #CantWait2Vote page, which keeps a running list that you can check at any time to motivate you to the polls. You can click the email icon next to your reason to send it to friends whom you are trying to inspire to vote. We ask you to refrain from using this tool to support or oppose any candidates for public office. It is MomsRising Together's policy not to delete comments posted by the community, though we may make exceptions when those comments involve partisan or personal attacks, obscenity and/or ethnic slurs. Posts from community members do not necessarily represent the views of MomsRising Together, and no endorsement by MomsRising Together of any post is implied. 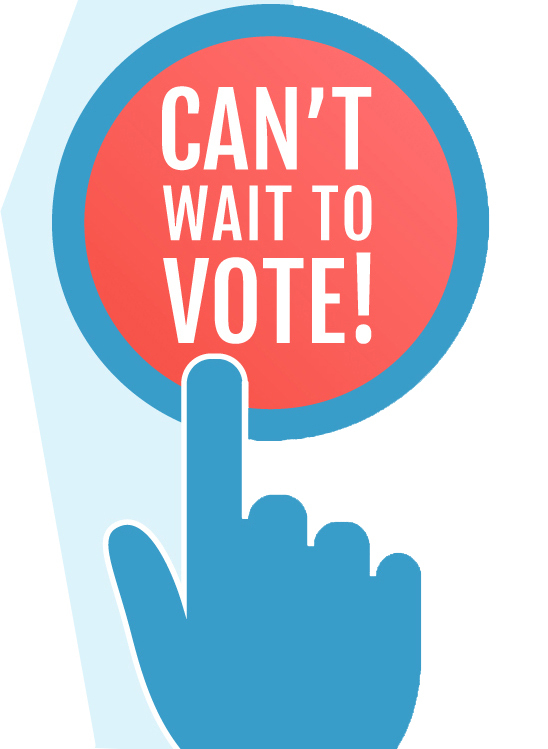 Finish this sentence: "I can’t wait to vote because…"
I understand that by using the #CantWait2Vote Panic Button, all comments I submit, along with my first name, city and state, may be shared by MomsRising on social media and through other public forums.